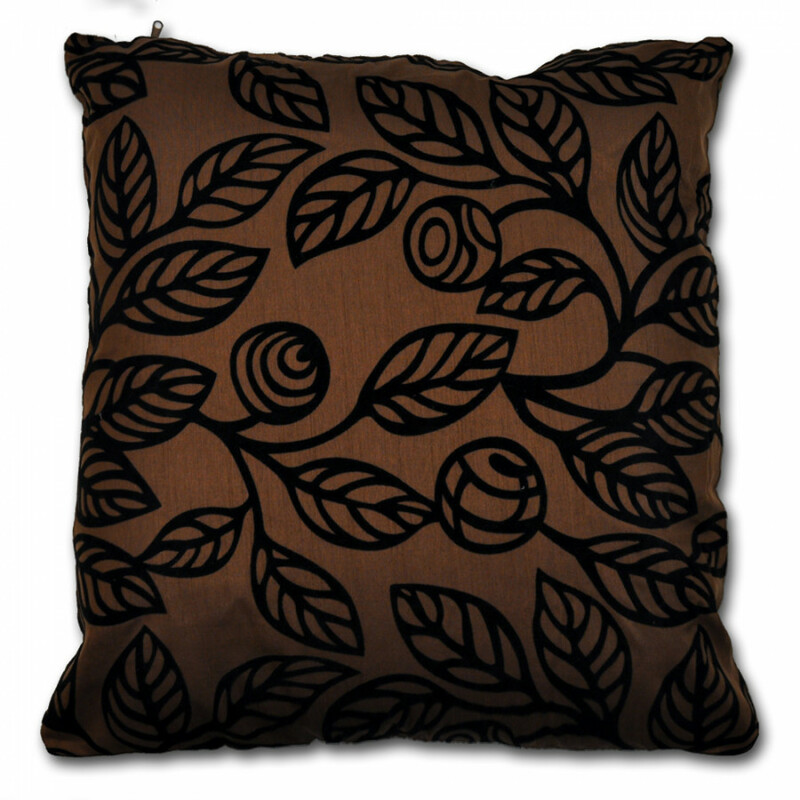 This classy Oregon chocolate cushion cover in a beautiful leaf print pattern will compliment modern and traditional decor both. Its Chocolate colour with black prints will surely add flavour to your interior. Its lavish faux silk fabric is extremely smooth and soft and you will certainly love to cuddle with. 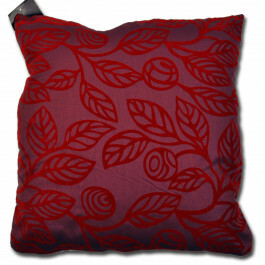 Available in 18" x 18" size our Oregon chocolate floral cushion cover comes with side zip and is finest contrary to all.